In order to run these, first you need to install AirCONICS, if you have not done so already. The first example, airfoil_example_SeligCoord.py, fits an airfoil curve to a set of legacy point coordinates specified in the Selig format. The AirCONICS installation comes with the coordinate sets included in the UIUC airfoil database, but you can add your own coordinate files to the library (make sure the path to these is set in the appropriate variable in airconics_setup.py. 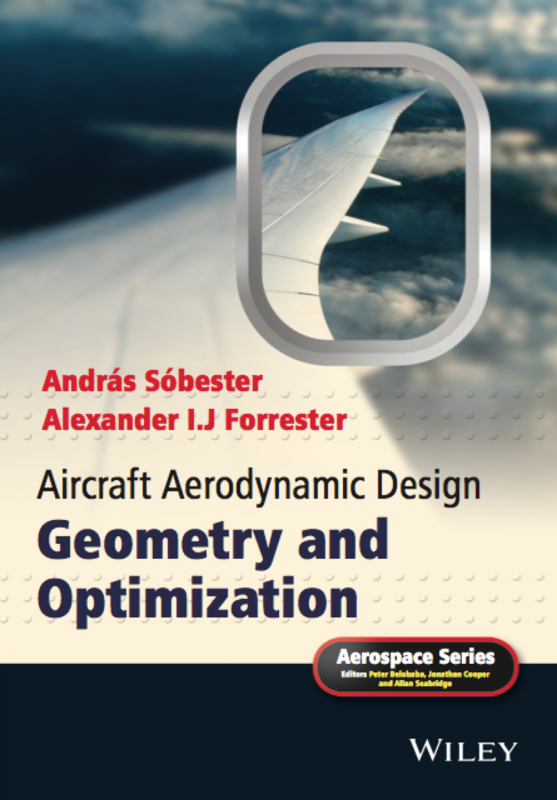 There are two more example files, airfoil_example_NACA4.py and airfoil_example_NACA5.py – these are just what it says on the tin: illustrations of instantiating and AirCONICS airfoil object and adding a NACA 4 and NACA 5 airfoil to the document respectively. When it comes to legacy airfoil families, almost everyone’s first port of call is the NACA 4-digit family. Though seemingly simple to implement, there are a number of pitfalls in the NACA 4-digit formulation, which are discussed in Section 6.1 in the book. 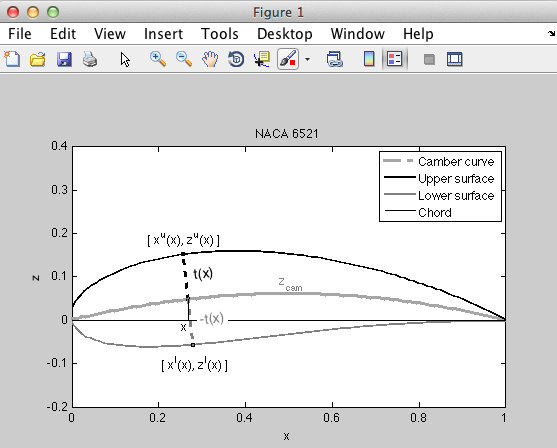 Our Matlab implementation lives in naca4.m, which is part of the Aircraft Geometry Toolbox. Similarly, help naca5 should provide a good place to start when attempting to do the same with the NACA 5-digit series. Another classic implemented in the toolbox is NASA’s SC(2) supercritical family – type help nearestsc2 to get started with these. The function can simply be used as a way to access the original data, but it can also re-sample and smooth this classic dataset, as required.